Home Other Games Krunker.io Review: The Best FPS IO Game? Like many bored people on the internet, I often browse through Reddit from time to time. One day, I was scrolling through the WebGames subreddit when I found a post that especially caught my eye. To keep things short, I tried the game out, and it was pretty fun. During that moment, I knew I had to let more people know about Krunker.io. 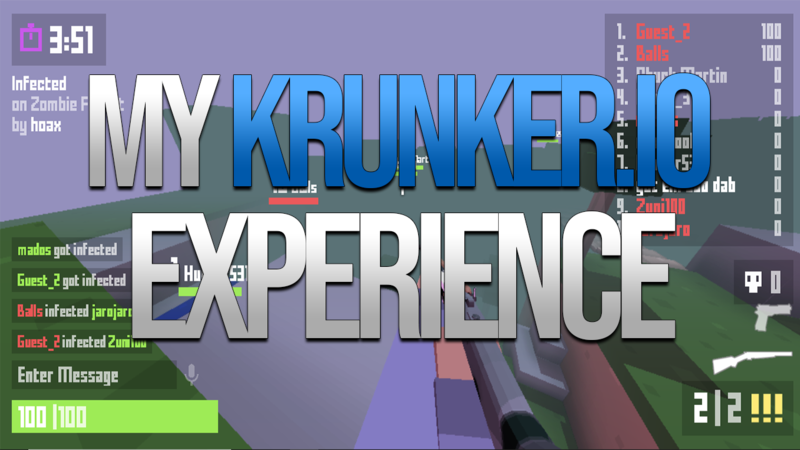 Krunker.io is an FPS browser-based game, created by game developer Sydney de Vries (also known as TheBigShot1 on Reddit). Moreover, Sydney is also the creator of other games such as vertix.io, moomoo.io, and karnage.io. If you’ve ever played any one of his games, you’d know they are made with care. So how could Krunker.io not be? Reasons I believe Krunker.io makes a SUPERB FPS GAME..
And I mean everything; the games, the kills, the deaths, and the movement. If you’re not vigilant, you’re going to find yourself at the home screen. Every great FPS has interesting and unique gamemodes provided to users. Krunker.io is no different; aside from their default gamemode FFA (Free For All), they have Infected, Parkour, TDM (Team Death Match), and a couple more. 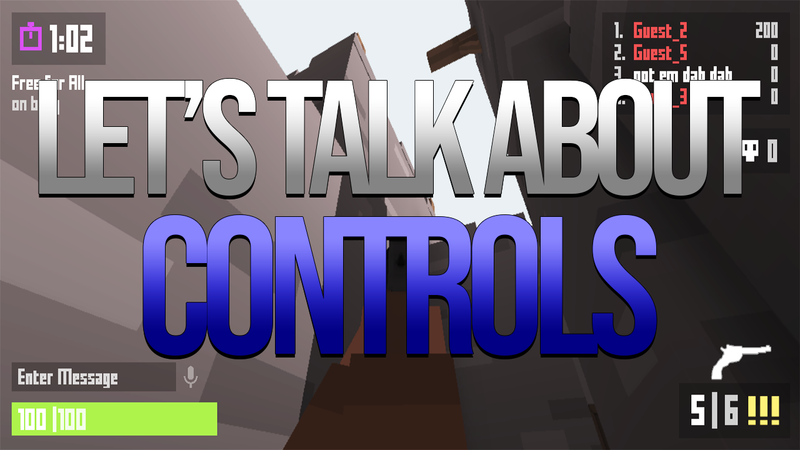 Players have the ability to create their own personal maps with Krunker.io’s map editor. Additionally, they can host matches with their maps so other players get the chance to try out. It’s pretty neat, in my opinion. When I entered my very first game, I was surprised to see how smooth and stable my FPS was (considering the fact that the game is in 3D). I have never had to deal with FPS instability or lag issues. It was easy to adapt to the controls as they’re the same as any other FPS game. There aren’t that many to begin with, so I doubt someone would have trouble here. The game design looks similar to Minecraft and Roblox; it has a very simplistic and friendly vibe to it. Yes, my name is “got em dab dab” ….. sorry. Just endless rounds of shooting, killing, and most importantly, fun. Although I hate to admit it, my first Krunker.io match was like a nightmare (yes, I was that terrible). It took place in Free For All, and I got embarrassingly stomped each time I spawned. It felt like a never ending pattern of abuse. I’d spawn, move randomly for twenty seconds or so, then out of nowhere I would ge — BANG — shot. Let’s just say that throughout the entire match, I was basically a sluggish moving target for everyone to shoot at. Fortunately, like the amazing and talented person I am, I learned from the mistakes that occured during that match..
You better not be timid engaging combat with another fellow player. Entering a panicky state during situations like that will get you killed in a heartbeat. Believe in your skills. 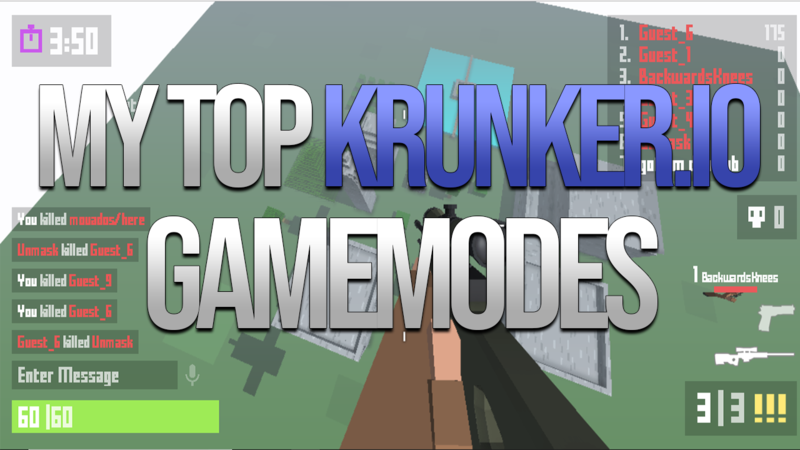 During Krunker.io gamemodes that allow combat, it’s a must to stay vigilant at all times. Many of my deaths could have easily been avoided had I just peeked behind from time to time. If you’re like me, you’re probably an overly competitive piece of crap as well. Don’t forget the reason why you’re playing, and just relax. An exception would be when a person with the Vince class blows your head off multiple times, then you can rage. Here are the various kinds of loadouts available for everyone to choose.. He wears a tuxedo, and equips a clean looking haircut. This dude has some cowboy or secret agent feels to him. Looks like your average kid with a blue baseball hat and jacket. A basic look. Black hair with a green jacket. This guy is rocking a great beard. Well, I think it’s a beard. Some mountain ranger looking dude. Has an all brown attire. Another guy with a green jacket. A similar copy of Spray N Pray. Appearance is giving me monk vibes. After testing each and every loadout atleast a few times, my favorite has got to be Vince (Shotgun), and Detective (Revolver). The Run N Gun loadout comes close, but Vince and Detective definitely take the win. Its thrilling racing around like a kid high on sugar while blasting enemies down one by one; it’s a powerful feeling. Especially when building speed momentum then jumping straight at the first enemy you see — BAM — instantly eliminated, oh I found another one — BAM — not anymore. These kinds weapons do the trick in these situations because they produce so much burst damage in a short amount of time. The problem is if you miss even a single shot, it could potentially lead to a missing kill; or even worse, your own demise. However, if you’re able to hit accurately, that’s great man. You can give opponents a seriously annoying time when you’re constantly ending fights with instant one shots (it’s definitely one of the many reasons why I enjoy Krunker.io). You know what I find even more amusing? When players get into their salty states. Like when I first started, you’re going to die many times, over and over again. Well, until you get somewhat used to the controls; it shouldn’t really take long as there aren’t many to begin with. In my case, I have a bit of experience playing FPS games such as Counter-Strike, so I adapted to the controls comfortably after my first match. I’m going to have to give praise for the gamemodes implemented in this game, because they’re just simply addicting. Team Deathmatch (TDM) Players are split between two teams, and the team (player) with the most points by the end of the game wins. Free For All (FFA) Free For All is basically the “every man for themself” gamemode. Like I said earlier, you better keep your eyes damn peeled. Hide N Seek If you’ve ever played Hide and Seek in your life, you probably already know the core rules of this gamemode. One Seeker is randomly chosen in the game, then released after a couple of seconds. The rest of the players are hiders, and naturally, their job is to avoid getting caught. Boss Hunt One player is randomly appointed to become a “Boss.” The Boss is just a player with a bunch of health (5000HP in fact). The quest assigned to the rest of the players is to hunt the Boss down. Infected Two players are randomly chosen to be become Infected; you can call them Zombies or whatever you want. Be warned, even a single contact with a Zombie leads to a disastrous infection. The rest of the players are armed and can shoot Zombies. Social No killing, no shooting, and no terrorizing. Players (unarmed) just chill and chat here. Parkour Players display their parkour mechanics on this mode, and points are rewarded when checkpoints are reached. A fantastic gamemode for inducing rage. Clan Wars Every clan will be treated as a single team, and players of no clan are treated the same. Race Exactly the same as the Parkour mode. The first player that reaches the scorezone wins the match. Competition It’s similar to the Free for All gamemode. The player who reaches 10 kills first wins the entire match. But what’re my personal favorites? Infected – My top gamemode across other games as well. Always been a fan of Zombie Modes from many games (Counter Strike). I enjoy the thrill the Infected mode gives me. Imagine getting cornered by a bunch of Zombies eager to take a bite of you — BANG — one down — BANG — another one. One mistake could cost your life — it’s the greatest feeling. Competitive does its job great, as I’m always overly competitive in these kinds of matches. In my opinion, this mode is a better version of Free For All (what do you guys think?). Other than that, I mean, what more can I really say? Krunker.io is one of the top solid FPS web games at the moment; I strongly recommend everyone to try atleast one time. You definitely won’t regret it. 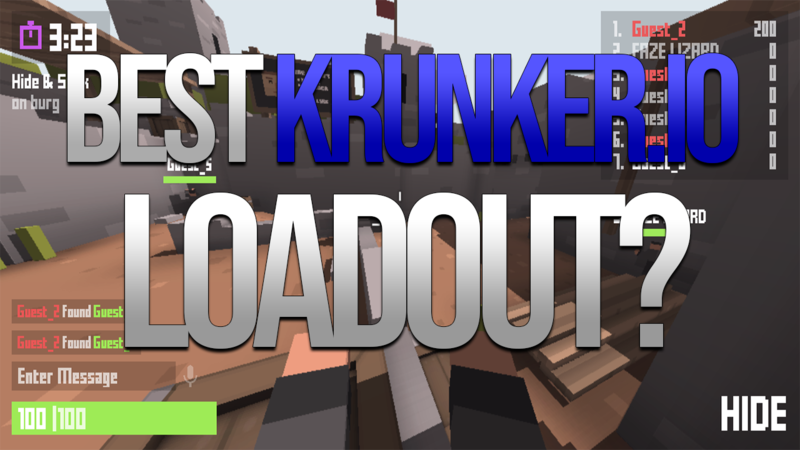 Please feel free to comment below your thoughts on Krunker.io as I am quite curious to see what you guys think.